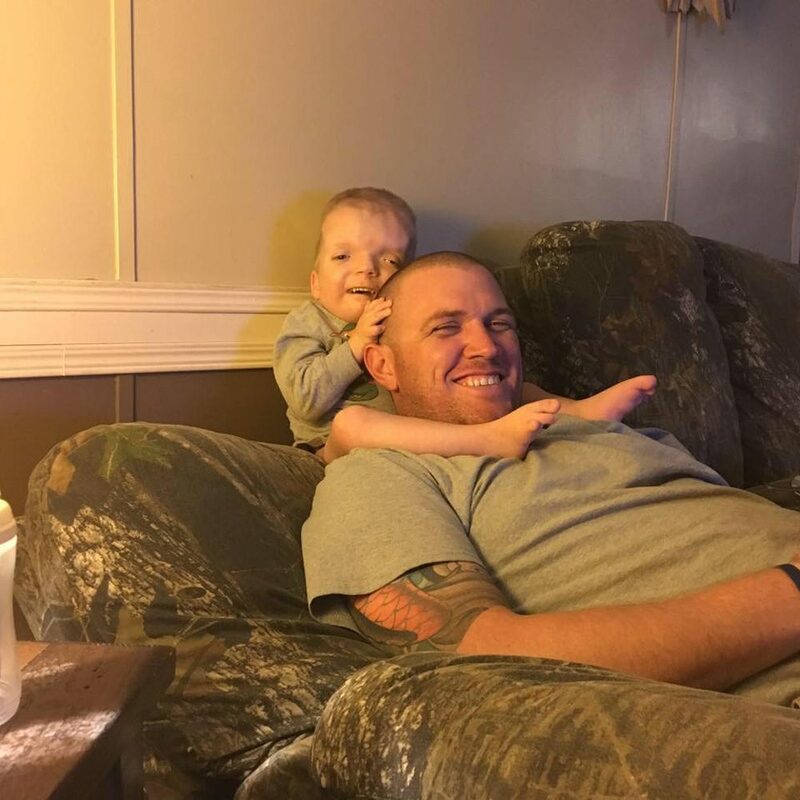 Grayson Smith is an Alabama toddler, born with heart and skull deformities, epilepsy, breathing difficulties and more. Though he wasn’t expected to survive his first weeks, he’s now a gregarious 3-year-old. 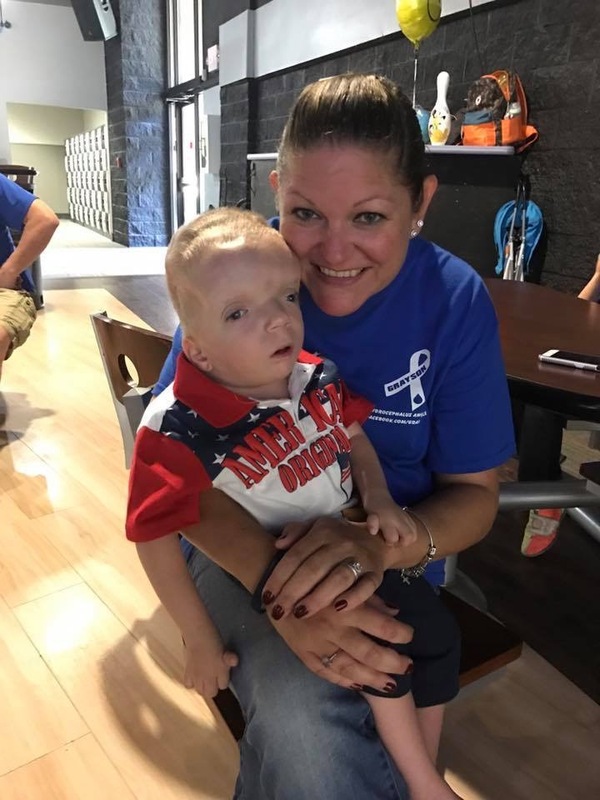 His mother, Jenny Smith, started a Facebook page several years ago to get support from fellow parents, and to support other parents going through the same challenges as her own family. So she was surprised and dismayed when she found that photos of Grayson had been stolen from the page and were spreading around the internet as a cruel meme. She decided to fight back. Jenny Smith joins Here & Now's Robin Young to tell her story. "Initially I had set up the Facebook page for, really, support for my husband and I to hopefully find other families that had cranial kids with facial, cranial issues, hydrocephalus, epilepsy. You know, just other families that we could relate to, get advice from, because we have never been through this before. And it slowly started turning into this support system for other families, as [Grayson] got older, that were also going through it for the first time. And it's just been an incredible 3 1/2 years. We a life day-to-day, up and down. One day he can be perfectly fine, happy, talkative and within a matter of hours he could have a shunt failure, a severe seizure, and here we are off to the hospital. That's how we live our day-to-day life." "It said 'That face you make when your parents are actually cousins.' With his picture of his very first pumpkin that he picked out on a field trip that he went with his school when I finally came to terms that I had to let him live his life. He wanted to go to preschool. He wanted to have friends. And that field trip was so special for him to be able to be able to get his own pumpkin, and for somebody to turn that into a joke, a horrible, mean, cruel, joke, was both heartbreaking and devastating at first. And I actually had to sit there and read it several times because it really didn't sink in. It took me a few minutes to realize that due to his facial differences and his uniqueness, someone found that to be funny. And it just broke me inside as a mother." "We owe it to him to fight back on his behalf and let people know, 'This is not OK.'"
"Grayson's a fighter. Grayson is such a ray of life and he's very bossy and very sarcastic, and I really tried to put myself in his mindset. Because this is his page. We're voicing for him. What would he do? He would fight back. And I thought, no, I'm not gonna hide him from the world. I am proud of who he is. We are extremely just ecstatic of what he's gone through and come out of and how strong he is. We owe it to him to fight back on his behalf and let people know, 'This is not OK.'"
"If I could find out who directly posted it, I, obviously, kindly told them, 'You know, this is our son. He's terminal. We've been through 24 brain and head surgeries. This photo is private. It was made into a meme. Will you please take it down?' We've had some people take it down and others say, 'Hey, it's free on the internet. We can do whatever we want with it.'" I just am like, 'OK, well, if you want to spread my son as a joke, the 20-something-thousand people and supporters for Grayson, we rally together.' I am in several groups for cranial kids and hydrocephalus kids, and us moms, we will rally together and basically go on a rampage on their page and so far, we've had a few say, 'OK, OK, stop. We'll take it down.' So fighting back, it's slowly working. People are getting the message that this is not OK. These are people's children." "We actually have so many friends that have made memes, positive memes, with Grayson. 'This is the face you make when you hold someone you love.' 'This is the face you make when your life is good.' 'This is the face you make when your heart is happy.' 'This is the face you make when you're perfect just the way you are.' That's the way it should be." This segment aired on December 26, 2016.